Clothes shouldn’t be sopping wet after a run in the washer. Repair your machine's spin cycle with these quick tips–and learn when to call the pros. Q: I went to transfer a load of laundry to the dryer, and to my chagrin the clothes were sopping wet! Why didn’t the washer spin the water out? Should I call a repair person? A: Not yet. If your washer won’t spin, it might signal a malfunction that requires a repairman, but oftentimes a simple DIY fix can get your washing machine working once more. Read on to determine the cause of your washer woes and which of them you can solve without hiring professional help. Note that some of these repairs may require you to remove the back of the washing machine to check internal components; this should only be done after the machine is unplugged and the water source is shut off. Redistribute an off-balanced load of laundry. An unbalanced load of laundry is one of the most common causes of an inadequate spin cycle. Sometimes clothing can settle on one side of the drum, throwing off the motion of the washing machine. (This happens most often when washing large and heavy items like comforters or heavy coats.) Moreover, some newer machines won’t reach high speeds with off-balanced loads, which leaves clothes dripping wet. If you suspect a distribution problem, try rearranging your clumped-up wet laundry and running the spin cycle again. Level an off-kilter washer. If positioned unevenly on its adjustable pedestal, your washer won’t spin properly. Look for other signs of an unlevel machine—excess noise and vibration during the washing process—and, if they confirm your suspicion, adjust each individual leg higher or lower until the washer is completely level. Check the power source. While it may seem like a no-brainer, double-check that the washer is plugged in. A mid-cycle bump or jiggle could have caused the plug to work its way out of the outlet, and a re-plug might put you back in business. If the power cord is secure in the outlet, check your home’s circuit panel to ensure that a breaker didn’t trip. Stop using an extension cord. The heavy-duty power cord to your washer should be plugged directly into an outlet—not into an extension cord. Many extension cords can’t conduct enough electricity to power the washer’s motor, which can subsequently overheat and shut itself off. The washer will probably function again after the motor cools, but the problem will likely occur again. Plus, relying on an extension cord will shorten the useful life of the washer. If you can’t move the washing machine closer to an outlet, have a new outlet wired within a reasonable distance. Inspect the spin switch. In a top-loading washer, a small protrusion on the underside of the lid depresses a switch when you close the lid, serving as a safety precaution to detect when the lid is closed. If the protrusion has bent out of shape, it may not trigger the switch as intended. Test the theory by opening the lid, selecting the spin cycle on your washer, and then manually depressing the switch with a finger. If the machine starts spinning normally, simply re-bend the protrusion so it triggers the spin switch properly. Did your washer not spin when you pressed the switch manually? The problem could stem from a defect in the switch itself. Fortunately, replacing a broken spin switch can be a DIY-friendly project, depending on the washing machine brand and model. Consult your owner’s manual for instructions. 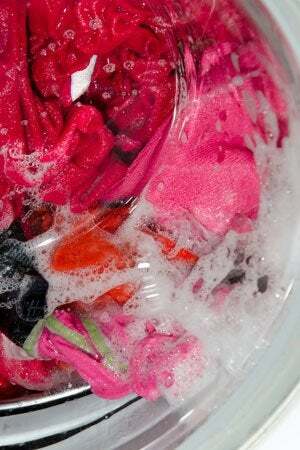 Stick to high efficiency detergent with a front-load washer. You may not realize it, but most front-loading washers require high efficiency (HE) detergents with low foaming action. Otherwise, non-HE detergents may produce so many suds that the machine’s sensors perceives the washer as too full. As a result, the washer won’t reach adequate spin speeds, leaving your clothes dripping wet at the end of the cycle. Undo any kink in the hose. This would hinder water flow to and from the appliance, resulting in a washer that starts the spin cycle but never picks up speed and doesn’t drain water. Pull out the washer to look behind it and check that the hose is kink-free, then carefully push the machine back into place so that you do not inadvertently crimps the hose again. Track down a blockage in the drainage system. Small items—like pennies, keys, buttons, or clothing clips—can fall out of pockets and off of clothing, then lodge themselves in the hoses that attach the washer to the drain pump. Ultimately, the blocked drainage prevents the machine from spinning. In some washers, the drain pump (typically located in the back of the washer, near the floor) can be accessed without removing the back of the washer, and other models require you to detach the washer back. Consult your owner’s manual for model-specific instructions. Then remove the clamps that hold the hoses in place, clear any clogs that you find, and reattach the hoses. Replace or readjust the drive belt. A broken drive belt, or one that has slipped off the pulley wheel, can cause the washer to agitate during the wash cycle and yet—despite the noise of the motor running—the drum remain still during the spin cycle. To determine if this is the case, remove the back of the washer and visually check to see if the belt is still on the pulley. If not, you may need to replace the drive belt. Be sure to purchase one that’s made specifically for your brand and model of washer. • The drain pump may be to blame when water won’t spin out. If you know how to use a multimeter, you can perform a continuity check on the drain pump’s motor connections to see if they’re still viable. However, that’s as far as the DIY job goes; non-functioning drain pumps will have to be replaced by a repairman. • To determine whether the motor coupler (a small rubber and plastic connector piece located between the washer’s motor and its transmission) has broken, conduct this simple test: Set the dial on your washer to a wash cycle and turn it on, allowing the drum to fill with water. When the water reaches the fill level, agitation should begin. If you hear the motor kick on but the center agitator does not move, your machine needs a new coupler. While a replacement is in the ballpark of a mere $20, this fix is only DIY-friendly for those who are skilled in small motor repair. 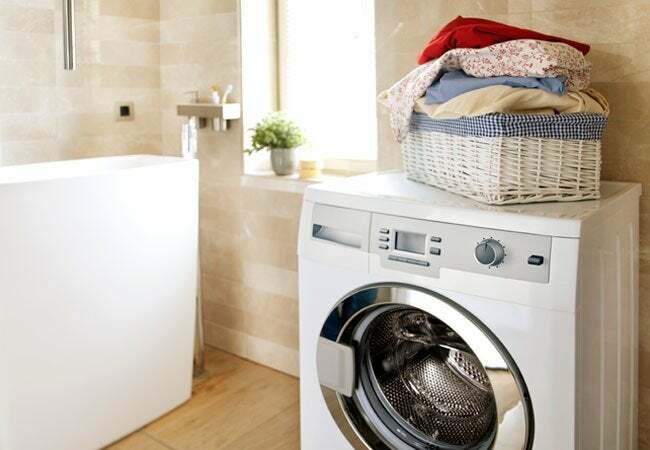 • A motor that doesn’t run at all, despite good connections to the power source and breaker, could prevent a washer from spinning. Some motors contain carbon brushes that wear out over time, and those can be replaced inexpensively. However, the problem could be more extensive than a worn carbon brush, and it’s impossible to know without removing the motor and testing it. Even with the washer unplugged, induction-type motors that contain capacitors can give you quite an electric shock, so motor testing and repairs are best left to the pros. 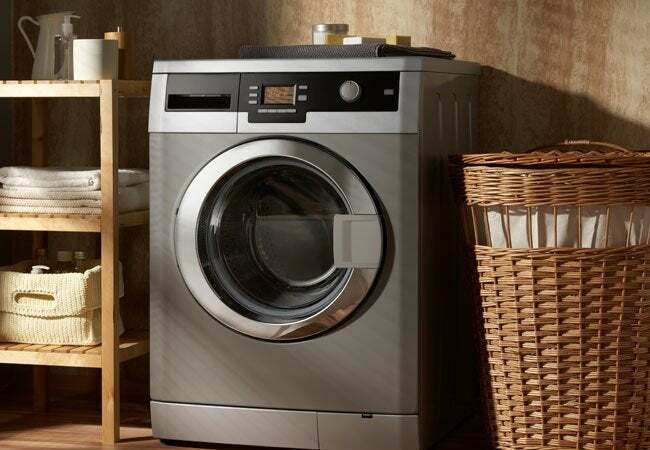 • Some washers feature electro-mechanical transmission shifters or clutches that, when worn out, can result in a washing machine that drains water from its drum despite a drum that will not spin. This issue also requires attention from a repairman.